The fourth edition of ArtBAB 2019 (Art Bahrain Across Borders), the Middle East’s youngest and most promising art fair, will be held under the theme of ‘Legacies’ in March next year, even as cutting-edge conversations about art, culture, tech and commerce will dominate the event. 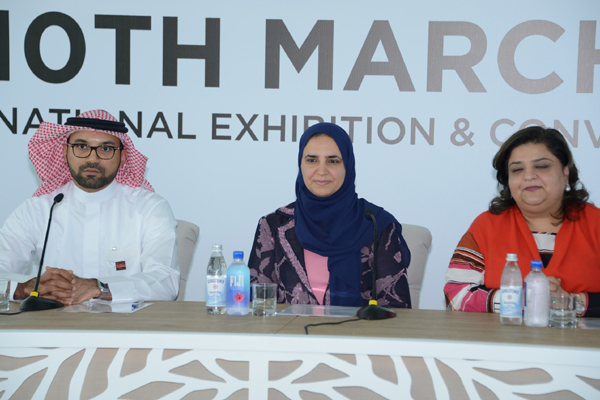 The event, being held under the patronage of Her Royal Highness Princess Sabeekha bint Ibrahim Al Khalifa, Wife of the King of Bahrain and a keen supporter of the Kingdom’s cultural heritage, will take place from March 6 to 10, 2019 at the Bahrain Exhibitions & Convention Centre. The exhibition will explore the nearly 50-year-old Bahraini contemporary art scene and its foundation in the kingdom’s rich art heritage. “We are proud of the unique conversations that we have started about Bahraini art around the world – in 2018 alone, our supporting project Artists Across Borders has taken 25 Bahraini artists to Paris, Moscow, Singapore and the UK,” said Shaikha Maram bint Isa Al Khalifa, director of the Office of Her Royal Highness Wife of the King of Bahrain. dslcollection, a VR Private Museum from France will feature world prominent Chinese Contemporary Artists- Cao Fei, Tang Song, Ge Guanzhong, Jia Aili, and Chen Wenbo; The Kremer Collection, a VR Private Museum from Netherlands will feature 17th Century Dutch and Flemish great masters such as Gerrit Dou, Pieter de Hooch, Frans Hals, Jan Lievens, Rembrandt, Michael Sweerts & Gerrit van Honthorst and Khora Contemporary, a VR Production house, co-founded by Faurschou Foundation, a private museum in Denmark will showcase works of other prominent contemporary artists. The Bahrain art fair will also be launching a world premier on Art & Islamic Finance during the conference, as a debate between Deloitte Art & Finance and Deloitte ME Islamic Finance and Knowledge Centre (IFKC). The use of big data and analytics in helping collectors better manage liquidity, risk and volatility will also be explored with valuable insights from Christie’s and ArtTactic alongside live demos from CollectorIQ, MutualArt and Pi-eX. The conference will also discuss topics around arts philanthropy and arts patronage to empower cultural development in the Arab World and the growth of cultural and educational districts in building a creative economy, moderated by Arab Fund for Arts and Culture (AFAC) and Global Cultural District Network (GCDN). Jason Bailey, Founder of Artnome, the world's largest analytical database will chair one of the art world's biggest debates on AI and Artistic Creation, exploring the role of AI and machine learning in replacing humans. Robbie Barrat, a 19-year old who developed the code for the first AI Generated Portrait of Edmond de Belamy by the Paris collective, Obvious that was auctioned at Christie's will take center stage with Mario Klingemann, a pioneer in the use of computer learning in the arts and a Google Arts and Culture resident, and Nature Morte Gallery. KlarisLaw will explore copyright issues on AI-Generated Art. Strategic Partner of the event is Tamkeen, Bahrain’s change management agency which supports the building of human resources and the Kingdom’s industrial and knowledge growth management.